By now, you may have already read about the fact that iOS 11.3.1 is propagating through Apple’s servers and onto user’s devices around the world. You may have actually already installed it and are getting to grips with all of the changes contained therein. If not, and if this is the first time you’re hearing about it, then you’re likely going to want to know what iOS 11.3.1 includes? We’ve got those details for you, right from the horse’s mouth. Plucky developers and those fortunate enough to have enrolled themselves onto Apple’s Software Beta Program will already be well aware that iOS 11.4 is currently in a pre-release state. That means that public attention has actually been on trying to decipher just when Apple will push out that version of its mobile platform into the public domain. 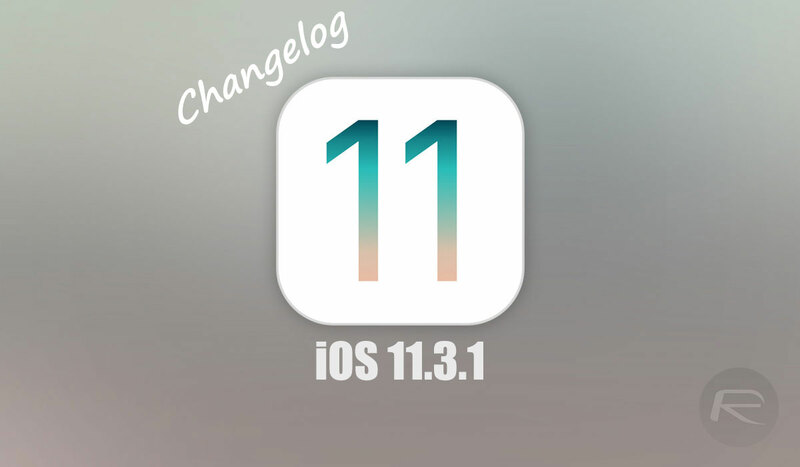 We had an inkling that iOS 11.3.1 would be in the works as a relatively minor bug or security fix release but its immediate availability has managed to blindside a lot of people. Let’s take a look at what Tim Cook’s team has to say about it. As you can tell from the release notes, Apple isn’t in a particularly verbose mood and doesn’t want to go into huge particulars about what iOS 11.3.1 contains other than to say that it has fixes for those device owners who have chosen to have a non-official screen put onto their device. 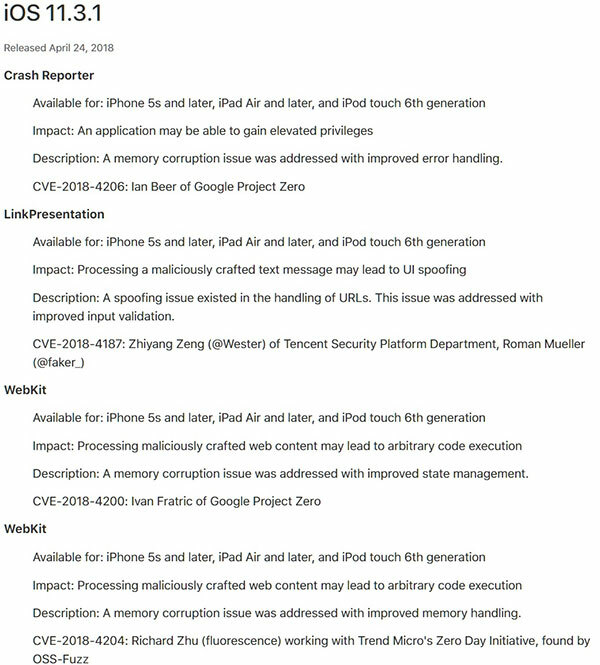 Apple has also provided a direct link to a dedicated security document pertaining to this release, which can be found at knowledge section HT201222 on the support.apple.com section of its website and references fixes for bugs found in WebKit by Ivan Fratric of Google’s Project Zero, amongst others. If you have a compatible device, make sure you grab iOS 11.3.1 right now. Any improvement to battery life?